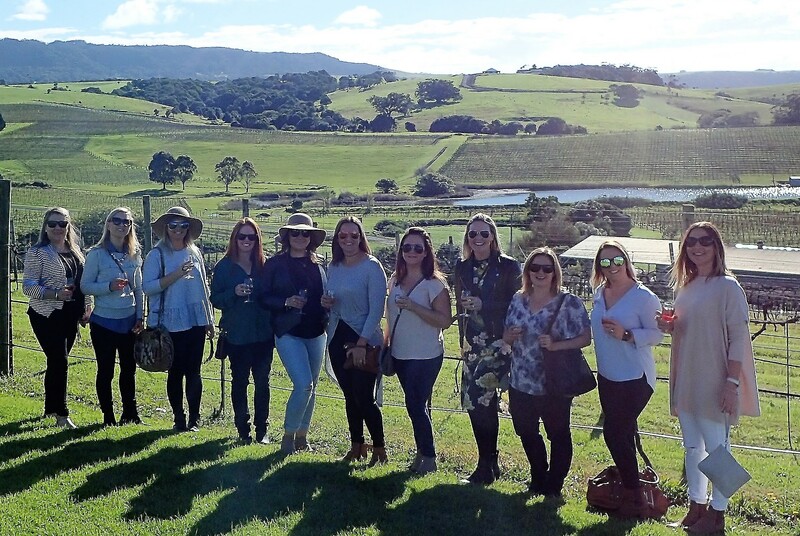 Allow South Coast Journeys to host your next winery tour in style. 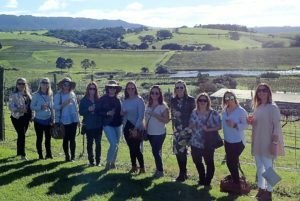 Whether it be for a hens’ or bucks’ party, birthday or corporate event, we will create the ultimate tour of the wineries on NSW’s South Coast or Southern Highlands, exclusively to suit your groups needs. 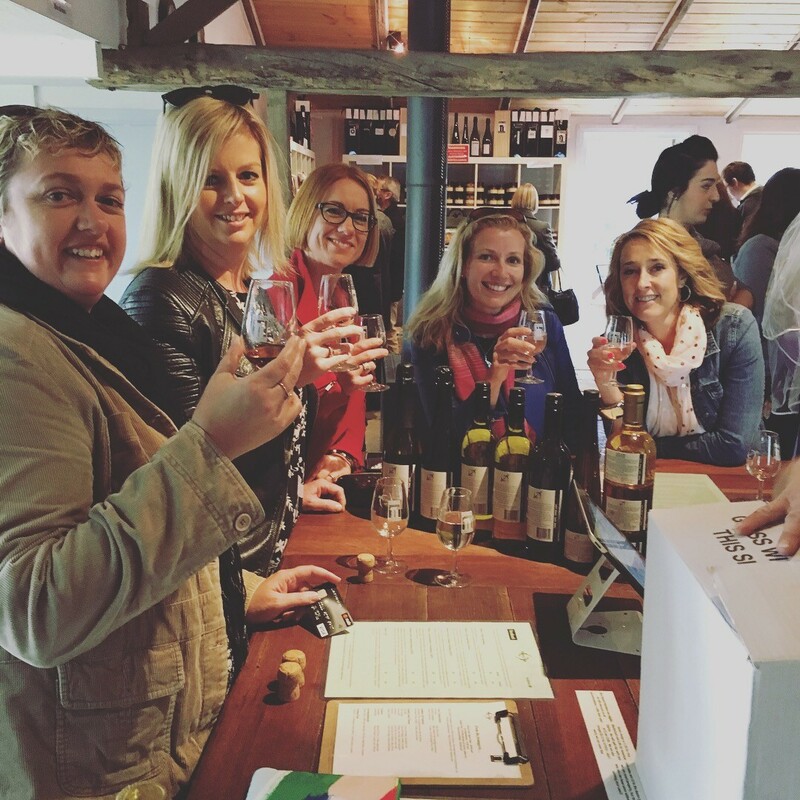 All tours can include: 4 Wine Tastings, craft beer or spirit tastings at your choice of venues, Two Cheese Platters and a gourmet lunch. Transport includes a car fridge on the bus (BYO). Deluxe transport options from helicopters to classic cars, sports cars and a Mercedes Vito or Sprinter, can be arranged for private tours. See below for a sample itinerary. Begin the day with wine tastings of Crooked River Wines great drops with a complimentary cheese platter. Enjoy taking in the spectacular views of the Saddleback Mountain range and the green hills of the surrounding vineyards. Enjoy a talk with the wine makers at Silos Estate in the ‘Barrel Room’ while sampling their many choices in wines. 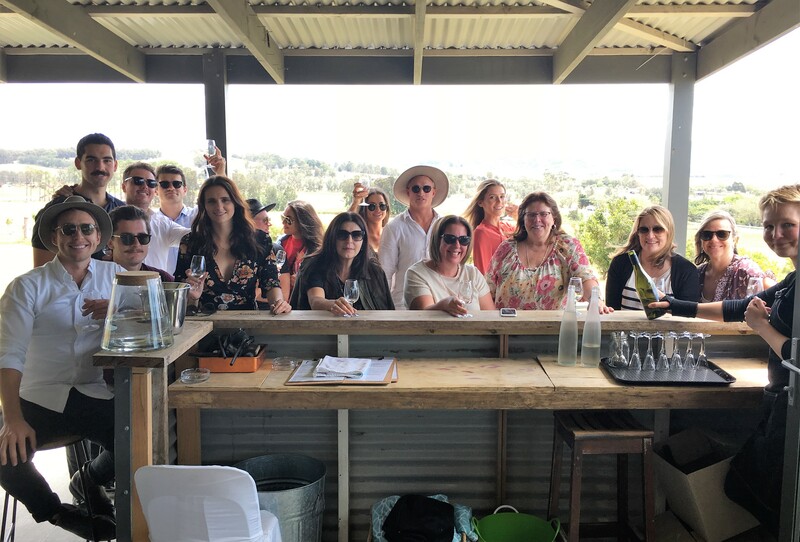 We then depart for lunch at the Mountain Ridge Winery, which includes a complimentary glass of wine or beer and wine tastings after lunch. Subject to availability and your interests, alternate venues may be used e.g. Coolangatta Estate, Cambewarra Estate, Silo’s Estate or local cafes and restaurants e.g. The Blue Swimmer at Seahaven or Berry Pub. 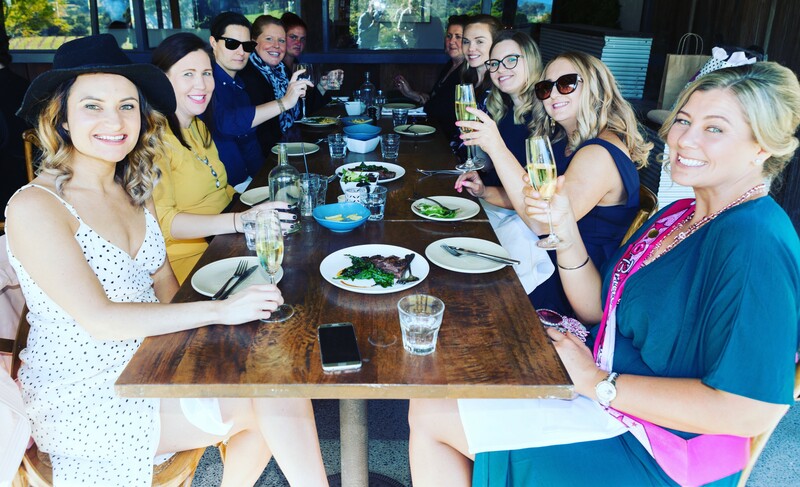 Finish the day with wine tastings and a local produce platter at Two Figs Winery, while taking in the majestic views of the Shoalhaven River. Pick a Spotify mix and then sing some songs with us on the way back home – arrival time approximately 6:00 pm. Up to TWO drop off locations included. At The Co-operative 1888 – Undertake tastings of locally produced Sour Marsh Whiskey, Vodka, Gin and Rum and take a tour of the old heritage listed Dairy Co-op building in Gerringong and learn how the spirits are made at this rustic distillery. Enjoy a range of chocolate creations with your choice of coffee in the quaint market town of Berry at the famous Berry Chocolatier or plan a visit to The Treat Factory Berry. Prices vary depending upon group numbers, venue choices and the number of experiences chosen and vehicle choice. This service also includes pick up and return from your designated Hotel, Motel or home address. Call / Text Hamish 0421 497 604 to Book or for more information. All tours are subject to availability and the availability of wineries and other destinations used. Early bookings are advised due to big events like Weddings at the wineries, limiting wine tasting availability at peak times.